– Five fire engines fought for six hours to put out the fire. 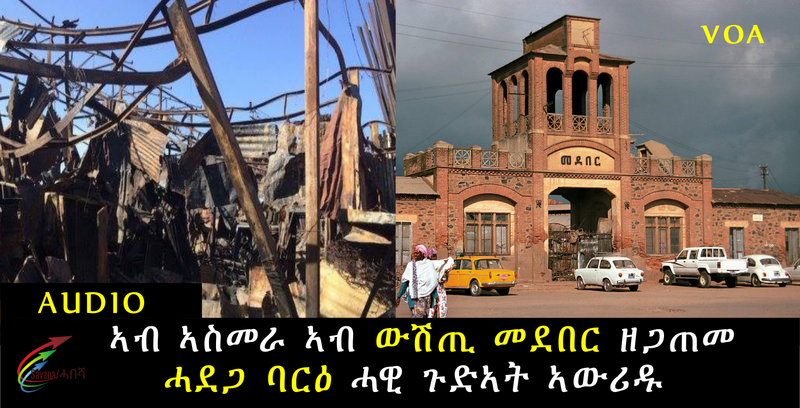 14 Jan 2019 – (EP) Fire destroyed one of Asmara’s historic landmarks (pictured) early today at 2:00am. The market was the place where all metallic was brought to be recycled and reformed. Loved and admired by foreign tourists for its ingenuity, Medeber was a centre of invention and innovation where youths show their creative talent in modifying goods for better use and making varied utensils and other household items as well as varied types of furniture. Situated a few hundred meters behind the Enda Mariam Orthodox Church at the north-eastern of Asmara, employers in Medeber hire experienced wood and metal workers and they also train apprentices in varied fields of works. Medeber had about 450 small scale firms before it burned down.